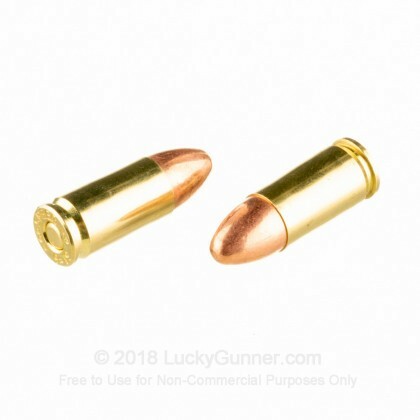 This Blazer Brass ammo offers dependable quality in a bulk, loose-pack of 1,000 rounds providing shooters with extra savings to get out to the range more often. 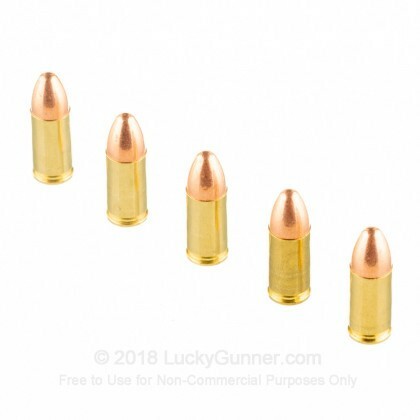 This 9mm Blazer Brass ammo has a 115 grain full metal jacket (FMJ) projectile crimped into the head of each Boxer-primed brass casing. The FMJ bullet exits the muzzle at approximately 1145 fps with 335 ft/lbs of energy; this translates to a predictable moderate recoil. These cartridges are loaded with trusted CCI primers for reliable firing with every shot. 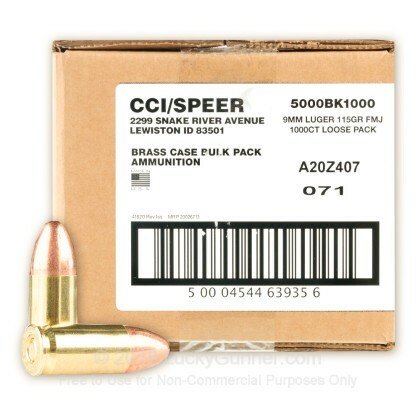 This 1000-round loose pack case of 9mm Luger ammo is an ultra-affordable way for you to experience the quality of CCI Blazer ammunition. CCI is a member of the Vista Outdoor group alongside other ammunition legends like Speer and Federal Premium. Don't miss out on this exclusive opportunity to stock up on this immensely popular Blazer range ammunition. Order your 1000-round case of this 9mm ammo today! I normally shoot Winchester white, federal or even freedommunitions. I’ve heard people say that blazer is good and much cheaper so I figured I’d try it out. 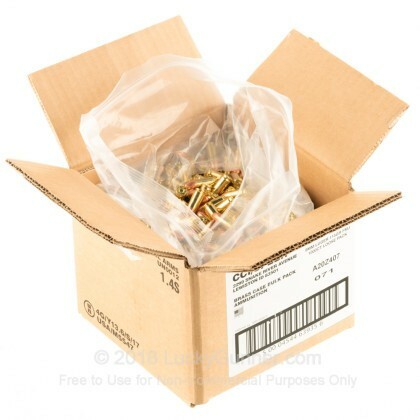 Ordered 1,000 rounds of blazer brass 115g fmj. Keep in mind that this is new ammo and not reloads. Today at the range I had a squib in my first magazine. Thought it was just a fluke one in a million kind of thing. Then about 100 rounds later I had another. Luckily I caught both of them before firing another shot. Do not buy this ammo. Spend a little extra and get something safe. 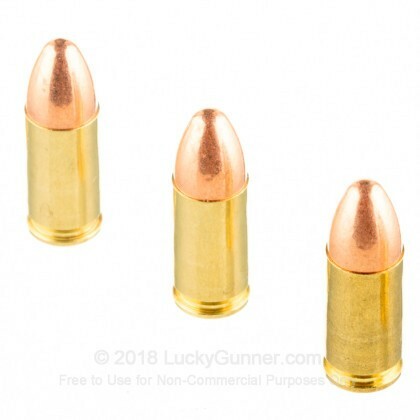 Clean and reliable range ammo. I have shot atleast 1000 rounds of this ammo on a Glock 17 and have not had one issue of any kind. I've been shooting this ammo and winning indoor competition. Never had a failure to feed or fire. Q: The bullets are lead fmj correct? Not Steel FMJ? A: These are lead core with a copper jacket and a brass case. No steel content at all in these rounds.